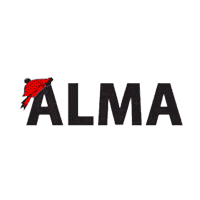 Alma Chrysler Jeep Dodge Ram has partnered with the Credit Acceptance Corp to bring Guaranteed Credit Acceptance to Michigan. Alma Chrysler Jeep Dodge Ram and the Credit Acceptance Corp can get you driving today! The CAC program looks at your entire financial situation, not just the score, and will approve you for a vehicle that you can afford. This is not Buy-Here Pay-Here. This program is designed to help you rebuild your credit by making timely payments on a car you love! Bad Credit, Repo’s, Foreclosure, No Credit, Bankruptcies ALL OK! GUARANTEED! Want to know if this is right for you? Fill out the form, and one of our specialists will call you today. Let us help you rebuild your credit. Call ​989-634-1510989-681-3900 to ask about our Guaranteed Credit Acceptance today.